1 Bed 2 Baths 776 Sq. ft. 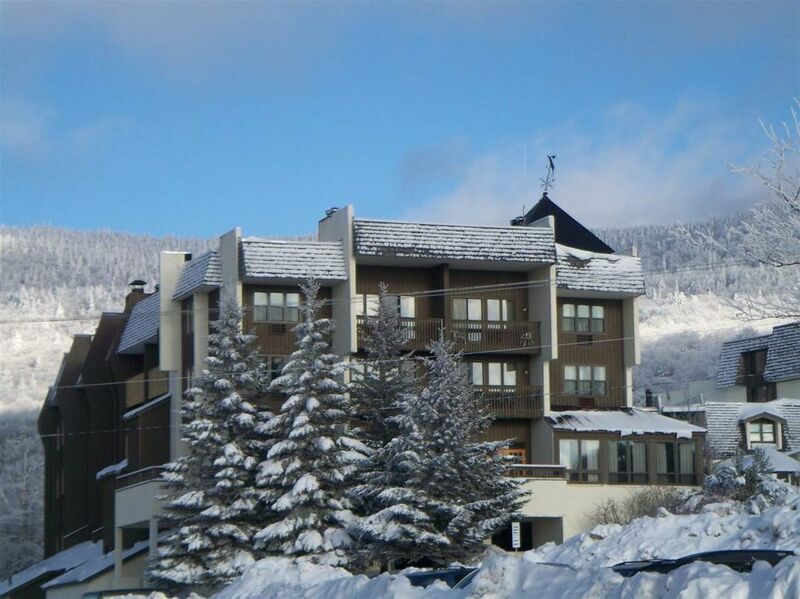 Enjoy the luxury of a 2 room fully furnished suite in the Lodge at Bolton Valley Resort. One of the nicest units with some newer appliances and furniture. One room has full kitchen + full bath+ fireplaced living room with a pull down wall Murphy bed and pull out couch. Other room has 2 double beds with full bath and balcony. Rooms can be rented separately with lockable double doors. Put in Resort rental pool for additional income and reserve days for you and your family's use! The Monthly Assoc fee includes Heat, AC, Electric, Hot Water, Water, Sewer, Cable TV, Insurance, Trash, Common area maintenance. Scenic west facing views to the Nordic trails and Green Mountains of Vermont. Directions: Exit 10 or 11 of I-89 Route 2 to Bolton Valley Access Rd to end. Condo is at main base lodge above West wing. 1 beds 2 Baths 776 Sq. ft.